Winter is fast approaching, the clocks go back tonight which means it's going to be dark by about 5pm nowadays, crazy! Clocks going back means that Halloween, Fireworks Night, Christmas and New Years are all very close, exciting stuff! Remember my Winter Coats post a few weeks ago? Well, a few days after that i actually bought my winter coat, and totally forgot to show you! So behold, this is my trusty winter coat! It's cute right? 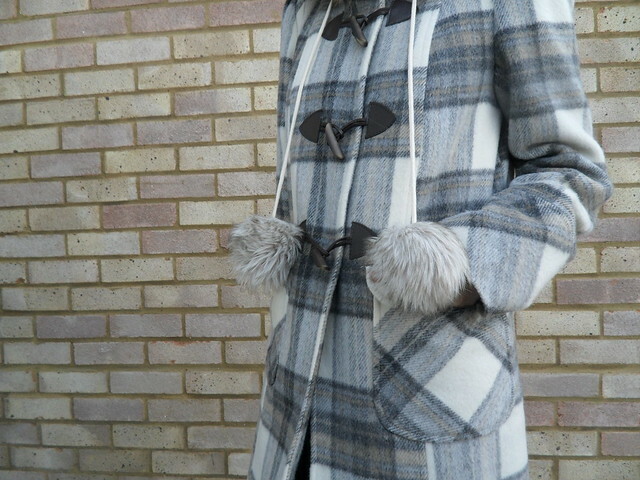 A check pom pom duffle coat! To be honest, it's not ideally the coat i wanted, but when i laid eyes on it in the Oxford Street store i knew it had to be mine and i bought it there and then! Perfecto. Hood? Check. Pockets? Check. Warm? Check. Fur? Check. In Budget? Check! AND it had little pom poms which are adorable, make me feel so innocent! This was £80 extremely well spent for the Winter, and I think the coats really smart too, what do you think? Ive had such a lazy, unproductive, miserable day today. I've done so much thinking, which is never good. All i managed to do was put a negative on absolutely everything and sink in to an even deeper hole of depression. Hmm, i don't really know what to do tbh. 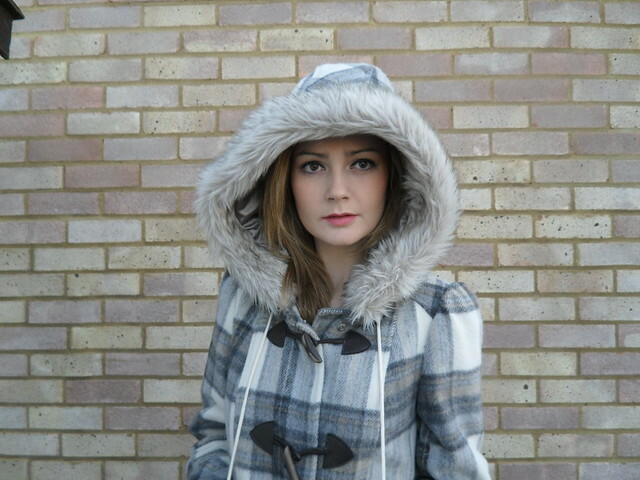 I like a good hood on a coat and that hood looks super cosy! It really is cute. I've been trying to find myself a coat but still not found one yet, fingers crossed though! Looks like such a cosy coat! So cute. Loving your coat! Absolutely gorgeous. Sad to hear you're having a miserable day today, hope some smiles come your way soon! Only discovered your blog yesterday & I'm already hooked - it's also always great to find another Herts blogger! What a beautiful coat! I am jealous!